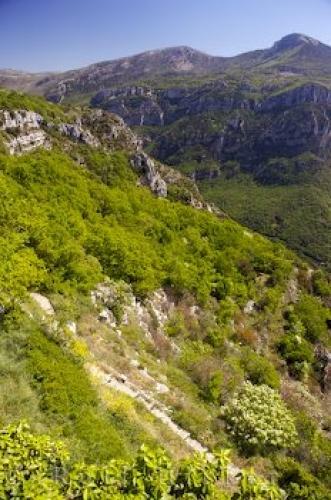 A stupendous view of the rugged Gorges du Loup can be afforded from the village of Gourdon in the Alpes Maritimes region of the Provence, France. Gorges du Loup seen from the square in the village of Gourdon, Alpes Maritimes, Provence, France, Europe. the Alpes Maritime region of the Provence, France.